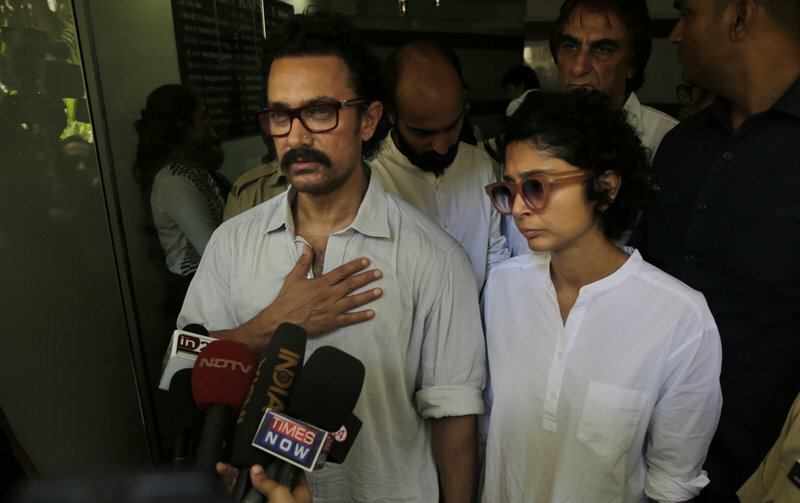 Bollywood actor Aamir Khan left along with his wife Kiran Rao speaks with media after paying respect to actress Reema Lagoo during her funeral in Mumbai, India, Thursday, May 18, 2017. 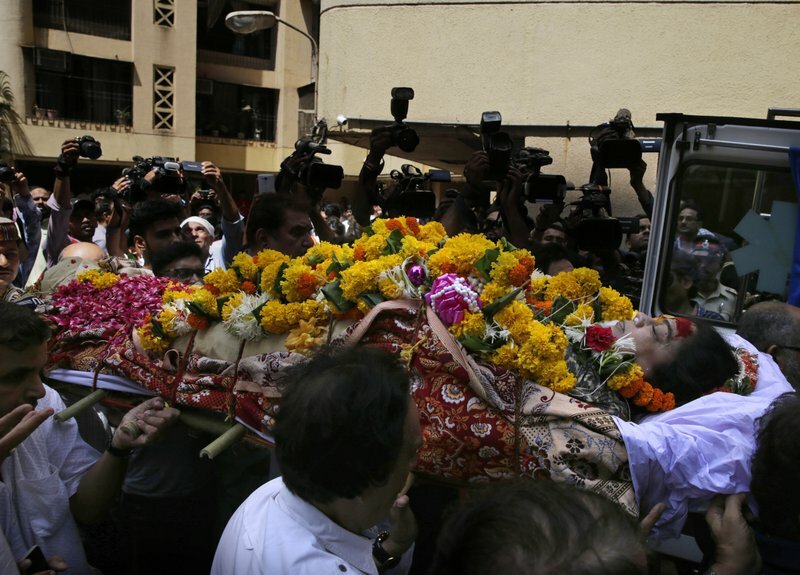 Lagoo, the ever-smiling screen mother to some of India’s top actors, died Thursday. She was 59. 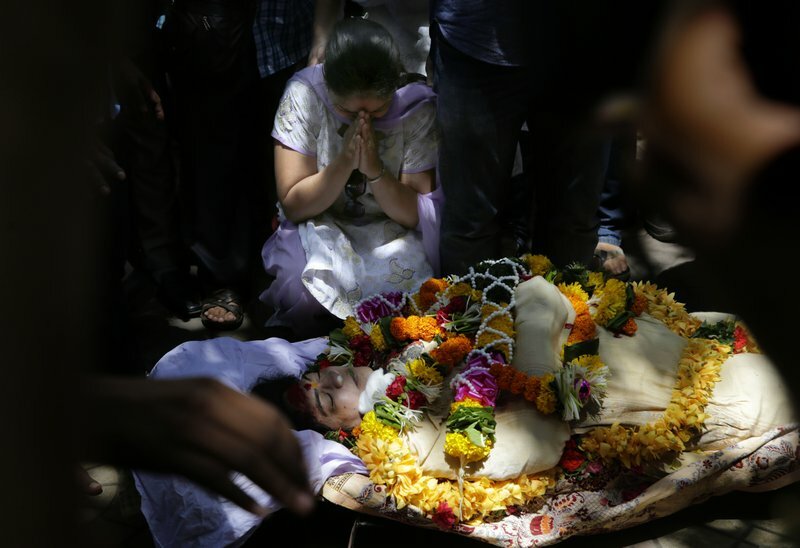 Friends and relatives carry the body of Bollywood actress Reema Lagoo during her funeral in Mumbai, India, Thursday, May 18, 2017. Lagoo, the ever-smiling screen mother to some of India’s top actors, died Thursday. She was 59.